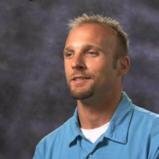 Eric is an Associate Director of eLearning and Emerging Technologies at Grand Valley State University (GVSU) in Allendale, Michigan. His primary role focuses on collaborating and supporting distance learning initiatives at the university while exploring future trends in emerging technologies in teaching and learning. He also collaborates to research and support academic technologies used in the classroom and in eLearning. Previously, Eric was the Emerging Technologies Coordinator at GVSU and a Director of Distance Learning and Instructional Technologies at Grand Rapids Community College (GRCC) in Grand Rapids, Michigan. Eric has a background in teaching Computer Science and Biology at the secondary level and a Master of Arts in Education with an emphasis in Educational Technology. Blog DISCLAIMER: The views expressed in this personal blog, are represented by the author. All content posted by the author on this blog is for information only, may be inaccurate or out of date, and is presented as-is. The author will not be held liable for any information posted or damages arising from the content, it’s display, or it’s use. Comments posted on this blog are the sole responsibility of the author submitting the comment.